When you find yourself in Berlin’s Mitte district—which you certainly will, as the central district is home to everything from the Brandenburg Gate to Museum Island to Berlin’s main train station—seek out Victoria for a snack and a slice of gluten-free cake. Tucked away on a side street between Alexanderplatz and Berlin Hauptbahnhof, this tiny café is well worth a stop. Outside the café, Auguststrasse is bustling. A steady stream of cyclists pedal past art galleries, gardens, and coffee shops. 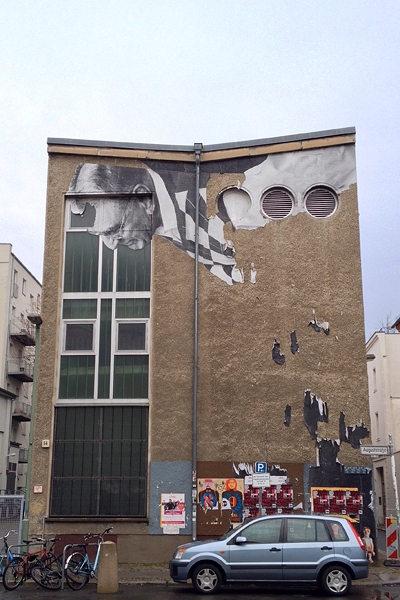 The street art, omnipresent throughout Mitte and much of the east side of Berlin, is especially vibrant in this corner of the district, within a stone’s throw of hip Prenzlauer Berg and Friedrichshain. Inside the café, Victoria embodies effortless minimalism. Decor is neutral and calming, and patrons keep their conversation to a very low hum. Even the cakes appear minimal, but don’t let their looks deceive you. The Non Plus Ultra features a flourless chocolate top and a spongey almond cake bottom, which together are quietly mind-blowing. Rich and surprisingly complex, this would be my go-to cake (and go-to café) if I lived in Berlin. 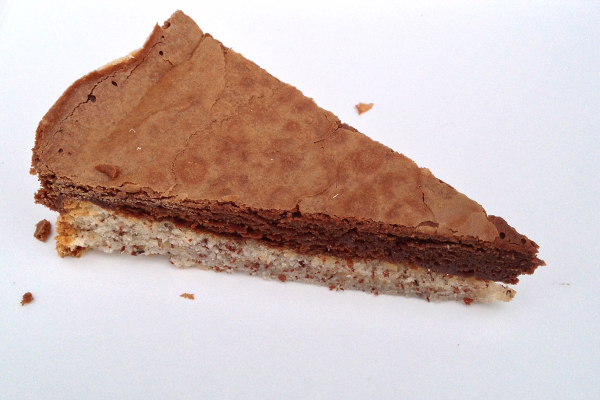 If chocolate and almond aren’t your cup of tea, however, Victoria offers at least three gluten-free cakes each day. Which will you try? Where? 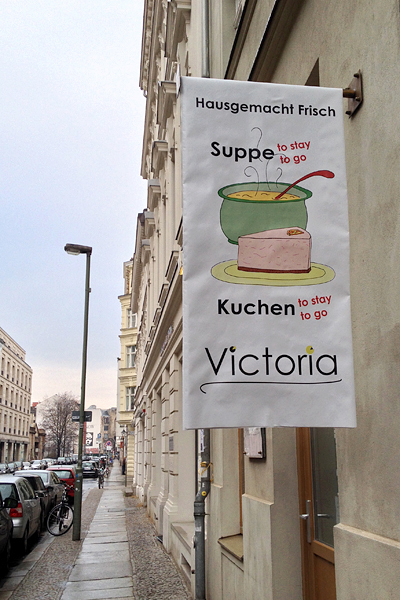 Victoria is located in Mitte: Auguststrasse 74, Berlin (+49-1515-4948969).